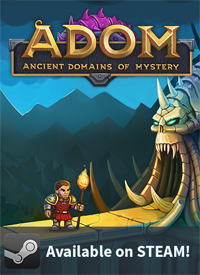 The Official Blog for ADOM (Ancient Domains Of Mystery): BitRock InstallBuilder donated - thanks! BitRock InstallBuilder donated - thanks! 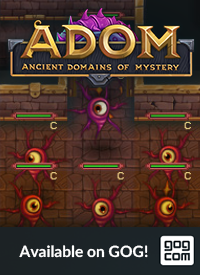 This evening has been brightened by the kind donation of the wonderful folks at BitRock: They donated a free professional license of their BitRock InstallBuilder to further the development of JADE (& ADOM). about which I do not want to talk too much today (more info will appear over the next couple of weeks and JADE:TU will be available before Christmas if everything works out). One of the ideas behind JADE:TU is to provide an offline version of JADE that requires neither Internet access nor Java Web Start with all its various difficulties to run on your system. A good installer builder is a very important tool on the road towards that goal and I'm more than happy that I now will be able to study the details of the BitRock InstallBuilder in order to use it for future JADE:TU builds. What I like best is that one tool now will allow me to build installers across multiple platforms (especially Windows, Linux and the Mac which should cover about 99.8% of the market) and that it no longer will be necessary to understand the details of having to install Java and all that. Thanks once more to the folks at BitRock (especially to Inaki Izaola and the InstallBuilder Team!) for the kind donation. 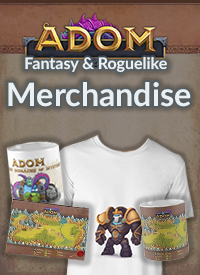 I promise to stand to my words - should JADE: The Ultimate Edition surpass the promised limit I definitely will purchase the full version of your product! P.S. : And thanks to Igor Elwin Savin for pointing out the special small business offerings of BitRock which I had missed in the first place! JADE 0.2.2 has been released! JADE 0.2.1 has been released! JADE 0.2.0 has been released!